These words are as true today as they were back in 1830 when Joseph Smith received them in revelation — almost more so as today’s youth face the growing challenges of our society. But now in this compact yet powerful book, today’s most beloved youth speakers explain how wearing that spiritual armor can not only help youth face those difficult challenges in life, but also conquer them. 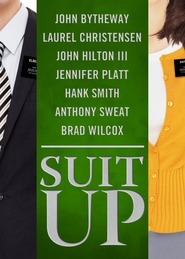 Filled with quotable quotes and video QR codes, this is the perfect book for those who want to line up on the Lord’s side and Armor Up! I first downloaded this as an eBook and found myself highlighting so much of what I was reading, I just knew I had to have the physical book. This little gem is perfect for anyone wanting to understand more about the individual pieces of spiritual armor that we all need, regardless of how old we are. It carries a message of strength that as God's children, when we apply the individual pieces of armor in our daily lives, we can have the spiritual protection that we need. The QR Codes in each chapter are a great addition that gives readers additional insight. Although Armor Up is directed at teens, I found it to be a very enjoyable book with principles that anyone can take into their lives to help them protect themselves from the many evil influences in the world. 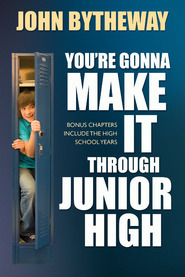 I would highly recommend this book to teens! Some of the authors have a humorous writing style that keeps a reader engaged, and all of the sections are also uplifting with great ideas that will help combat the daily battles. Each author's chapter ends with a challenge that includes some different ways the principles discussed can be applied. I'm confident that if readers take on the challenges that their lives will be blessed and changed for the better! I haven't used many QR codes, but found that interactive part of this book to be fun. The videos linked to the QR codes were a great addition to Armor Up. 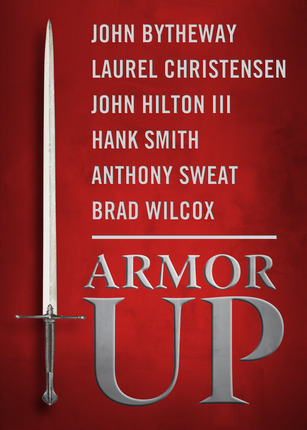 Six POWERFUL authors have come together to talk about putting on the armor of God. Each author takes a different part of the armor and elaborates on it. And just like the knights of old these author have come together in a "video round table" to share with you even more. This is a book you will not want to miss out on!